The recently completed 108th Congress proved to be very successful for the horse racing and breeding industries. 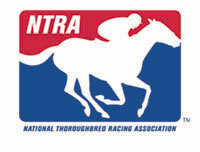 In the last two years, the NTRA has been able to preserve our industry’s favorable legal position regarding interstate simulcasting and electronic wagering, secure passage of important tax relief legislation and, through the formation and fundraising efforts of the NTRA PAC, become the recognized voice of the Thoroughbred industry in Washington, D.C. In 2005, the NTRA’s primary federal focus will be to protect the industry’s current legal status with respect to Internet wagering. Our industry’s legal status, as set forth in the Interstate Horseracing Act, has been an issue in Washington for each of the last eight years. Efforts to ban or restrict Internet wagering surfaced this year in the wake of the 9/11 Commission report, which stated that terrorists may use Internet transactions for money laundering. Tax legislation again will be an NTRA priority in the next congressional session. Late in the last session, Congress extended certain middle-class tax benefits included in the Jobs and Growth Tax Reconciliation Act of 2003. The act extended through 2007 the provisions that allow the purchasers of Thoroughbred horses to expense up to $100,000 within the year of purchase of a horse (or horses), not to exceed $400,000. The bonus depreciation that was part of the original Tax Reconciliation Act is set to expire on December 31, 2004. A top priority in the next congressional session will be extension of this provision (or similar tax relief) for horse owners and breeders. At the same time, the NTRA will continue to push for the reduction of the capitol-gains holding period for horses from 24 months to 12 months. Currently, horses held for draft, breeding, racing or other sporting purposes must be held for at least 24 months to qualify for capital-gains treatment. All other capital assets – except horses and cattle – qualify for the lowest capital-gains tax rate if held for 12 months. Although this provision was dropped from the final version of the Foreign Sales Corporation bill that passed this fall and included other legislation that is favorable to racing, the NTRA has received assurance from its allies in the Senate that passage of the capital gains provision is high on their 2005 agenda. The NTRA also plans to introduce legislation early in the next session of Congress that would provide tax relief to horseplayers, including increasing the federal withholding threshold on winnings, raising the IRS reportable income and odds threshold and lowering the federal withholding tax rate on winnings. President Bush is expected to make significant tax reform a key component of his second-term agenda, providing additional tax bills that can serve as appropriate legislative vehicles for provisions that will benefit the Thoroughbred racing and breeding industries.